skitnik wrote: This makes no sense to me. As soon the tires stop the momentum is gone! Even in the wet these tyres have amazing grip. So those fronts just started rotating in the direction of travel. 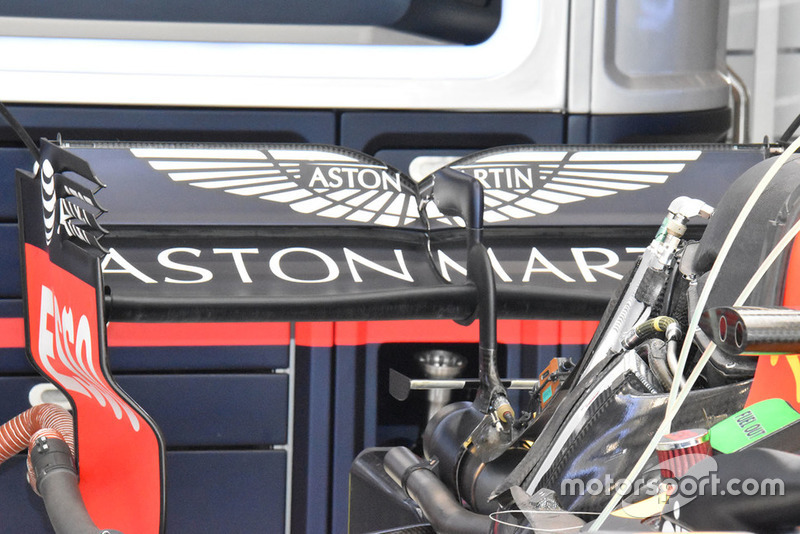 Discussion about the possibility of the RB14 having four wheel drive has been removed as it is speculative and not discussion as to what is actually on the car. The FIA check cars at every opportunity and as 4wd is banned, they would of course immediately exclude a car that had any trace of such a system. 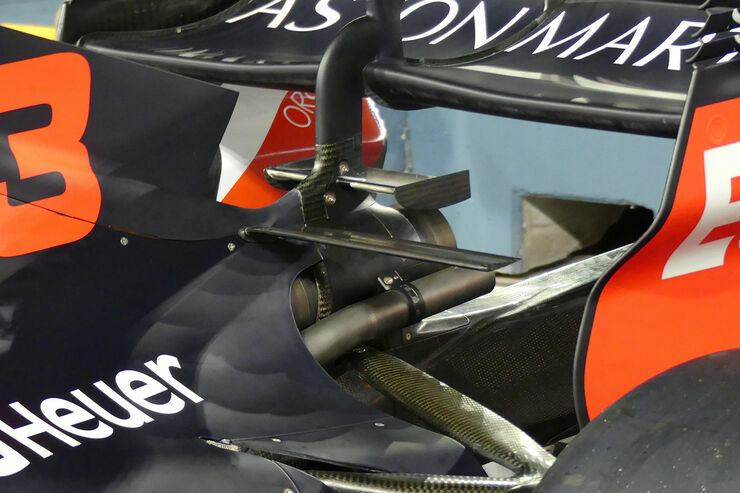 A new sidepod deflector arrangement for @RedBullRacing in Singapore, as they merge the first two elements (red arrow). 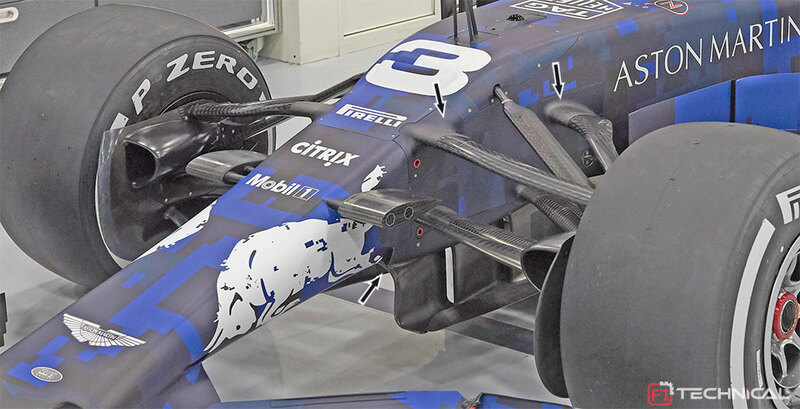 On TV the Red Bull rear wing looked like they where planning on running their car up Pikes Peak, insane amount of wing. 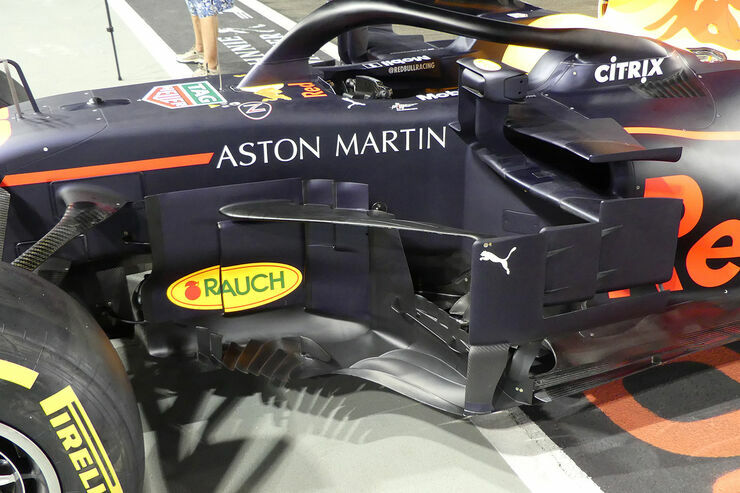 Maybe it looked bigger on TV because the pictures above do not seem to make it justice, so, really big wings on the bulls compared to last year or just an illusion on TV? The Sauber RW looked way smaller in comparison. New deflector setup isn't on 3's car. I highly doubt this as I don't think Daniel has any B spec parts left to use. Maybe Max might have a b spec or 2 but Daniel definitely doesn't. They are going to take grid penalties in Russia, Max as well. Back to spec B, Hopefully sort out the spec c issues and use that possibly later in season. I wonder what kind of flex is designed into all those wings in the middle of the car. 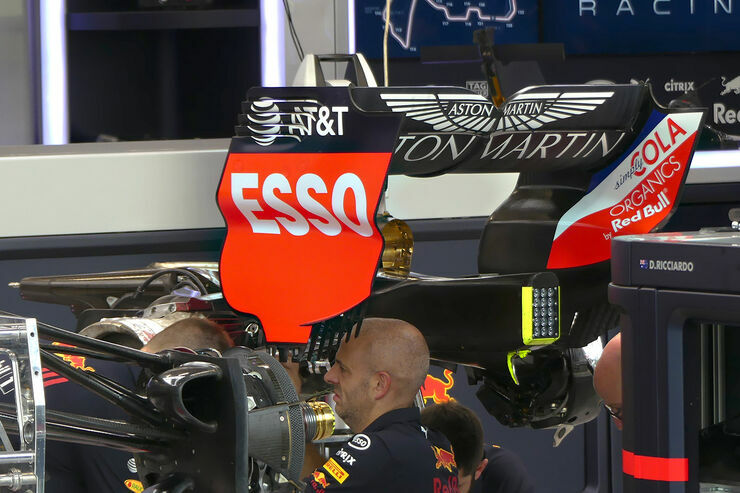 not necessarily desperate, for starters red bull aren't exactly short of funding and what they have gained is a bit of knowledge of where one of next year's rival engine manufacturers are with their development. plus they are safe in 3rd place so why not roll the dice and see if you can gain enough pace to maybe win a race or two before the end of the season ? What ? They acknowledged a boost of performance despite the software still being in a beta state. They plan to use it again on the remaining power tracks once the software has matured a bit. Both Spec-C engine are still working.